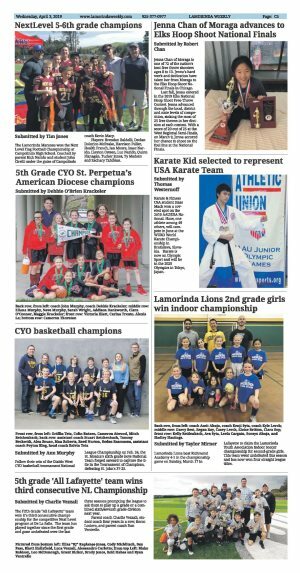 The second annual MOJAM skateboarding competition, held at Moraga Skate Park on March 16, featured approximately 45 contestants across three age groups: 12U, 13-16, and 17 and over. 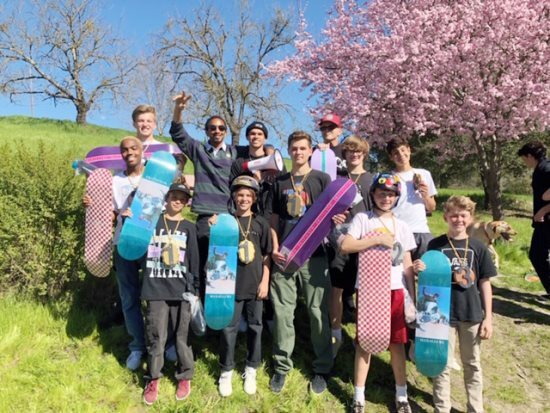 MOJAM 2019 was organized by Jon Soto, Zach Francis and Karl Watson, who is the owner of Maxallure Skateboard and helped sponsor the event, which was free to all. Soto is a local skateboarding dad who won his first skateboarding competition in 1976. Because skate competitions are such a different experience, Soto wanted young skateboarders to get to know the camaraderie and fun of a contest. He organized the first MOJAM in December 2017 at the Moraga Skate Park, which garnered approximately 25 contestants. Skaters in each age group had a 1 minute, 15 second run to link together their best tricks as cleanly as possible, then the top five of each group made the finals and got to take another run before winners were announced. The winners all took home a flashy DIY Medal, a Maxallure board and T-shirt, with first-place winners also getting a pair of Adidas shoes. Soto will plan the event again next year at Moraga Skate Park - probably over the same weekend. The Mojam Girl Power award went to Milla Ohrbach. There was also a best trick contest if you landed the best trick in a five-minute jam session.